As part of the Wellcome Digital Library pilot project, we’re joining forces with ProQuest to digitise over fifteen thousand volumes from our rare book collection. They will be made available through ProQuest’s new Early European Books (EEB) database – a sister project to the long-established and successful Early English Books Online.As its name suggests, EEB will trace the history of printing in continental Europe from its origins up to 1700. 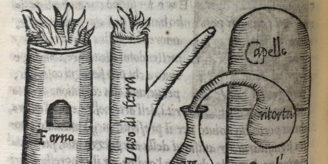 A number of other libraries have already contributed to the project, including the Kongelige Bibliotek in Copenhagen and the Biblioteca Nazionale Centrale di Firenze. We’ll be contributing our entire collection of pre-1700 non-English printed books – including many rare or obscure texts on subjects ranging from alchemy to zoology, as well as some of the most spectacularly illustrated books of the period. 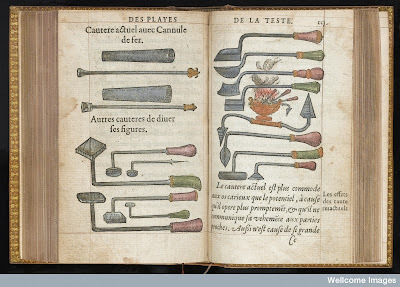 Landmark works include the first edition of anatomist Andreas Vesalius’s De humani corporis fabrica (1543), the complete works of surgeon Ambroise Paré (c.1510-1590), Rabanus Maurus’s encyclopedia De sermonum proprietate (1467) (the medical section of which is sometimes called the first printed medical book) and a beautiful colored copy of Hartmann Schedel’s Liber chronicarum (‘The Nuremberg Chronicle’, 1493), formerly owned by the artist William Morris (1834-1896). 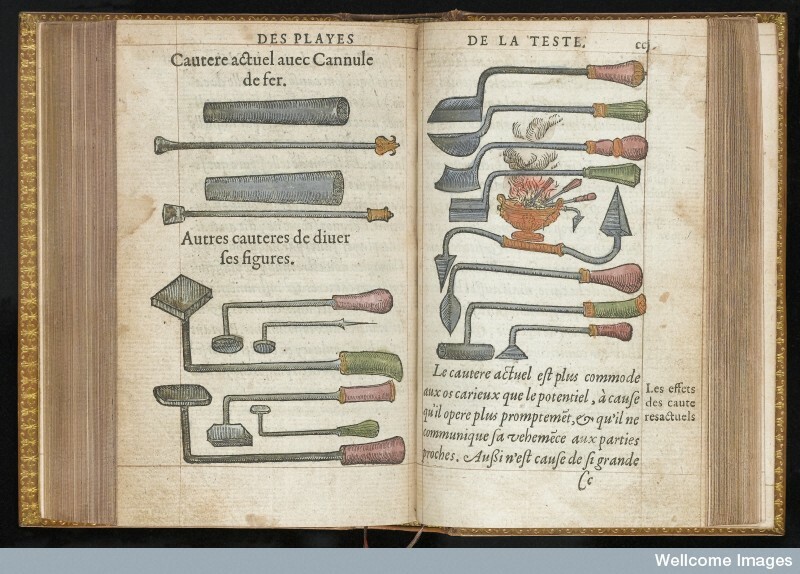 In addition, the project will also provide access to important continental editions of works by famous English medical authors, such as William Harvey’s seminal work on the circulation of the blood, De motu cordis (1628), which was first published in Germany.Unlike other parts of our project, which are being fully funded by the Wellcome Library, this partnership will involve a significant investment from ProQuest. In return for access to our collection, ProQuest will make the entire collection freely available to all UK-based users, and to users in the HINARI group of developing countries. Wellcome Library members will of course have free access to the collection from anywhere in the world. In addition, ten percent of the collection – about 1,500 books – will be selected by the Wellcome Library to be made freely available to any user worldwide via the Wellcome Digital Library portal. There will be other benefits too: as part of the project, we are taking the opportunity to make sure that previously uncatalogued (and hence unavailable) material is also included, giving the new database complete coverage of our pre-1700 European holdings.Why choose to work with a commercial partner? Well, for one thing we recognise that for some parts of our holdings, high-quality research access will depend on material being made available within bigger collections of related material. 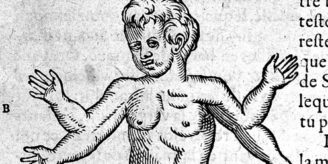 Our early European books are not only of interest to historians of medicine but also to a wider scholarly audience, for whom the ability to search across a comprehensive database rather than a subject-specific portal is important. We also recognise that a one-size-fits all approach to book digitisation isn’t always best. By partnering with ProQuest, we hope that users of our collection will benefit from the ability to see works in a broader historical context, and from the development of tools such as text recognition that are adapted to the challenges of early European printing – benefits that we are unlikely to be able to replicate, at least in the short term, within our own digital library.As the project develops we’ll tell you more about how it’s going, announce new content as it comes online and be inviting some input from our users and the wider research community to help us select items to be included in the 1,500 books we make freely available from the outset.